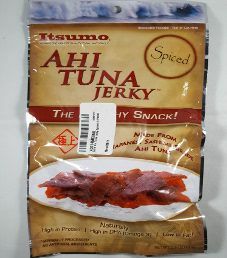 The next review on Itsumo will focus on a 2.2 ounce/60 gram bag of their spicy flavored ahi tuna jerky. The bag design has since changed, and the quantity of ingredients has been slightly tweaked. Itsumo is a Japanese word that translates to always, where they are always trying to improve. This bag was kindly submitted for review by the Itsumo Foods team. 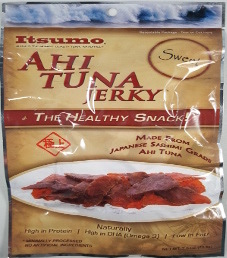 The second review done on Itsumo will focus on a 2.2 ounce/62 gram bag of their sweet flavored ahi tuna jerky. The bag design has since changed, and the quantity of ingredients has been slightly tweaked. Itsumo is a Japanese word that translates to always, where they are always trying to improve. This bag was graciously submitted for review by the Itsumo Foods team. 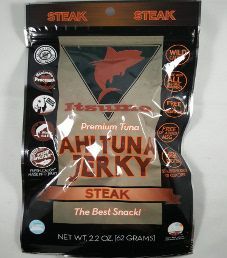 The next review on Itsumo will focus on a 2.2 ounce/62 gram bag of their steak flavored ahi tuna jerky. Itsumo is a Japanese word that translates to always, where they are always trying to improve. 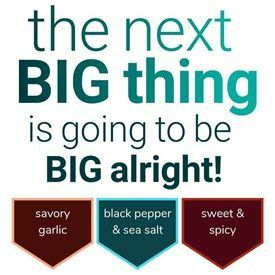 This steak flavor is advertised to be Paleo freiendly. The bag was graciously submitted for review by the Itsumo Foods team. 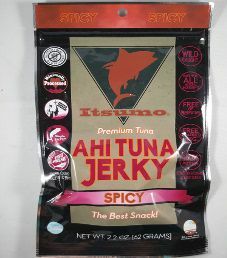 The next review on Itsumo will focus on a 2.5 ounce/70.8 gram bag of their spicy flavored ahi tuna jerky. Itsumo is a Japanese word that translates to always, where they are always trying to improve. This bag was graciously submitted for review by the Itsumo Foods team. 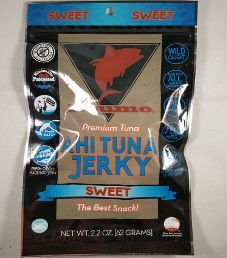 The first review on Itsumo will focus on a 2.5 ounce/70.8 gram bag of their sweet flavored ahi tuna jerky. Itsumo is a Japanese word that translates to always, where they are always trying to improve. This bag was kindly submitted for review by the Itsumo Foods team.